“Large numbers of EVs connected to the grid through smart charging technology offer a perfect place to store excess electricity and make it available when needed,” said the report, which focuses on getting more EVs on the road to help the county meet its greenhouse gas reduction targets. EV adoption is seen as key because about 65 percent of the county’s emissions come from the transportation sector. Programs, incentives and infrastructure that encourage drivers to charge during the day — when solar panels are generating — will increase the numbers of solar panels online, the report said. In 2016, Sonoma Clean Power experimented with smart EV charging, according to the alternative energy provider. Drivers enrolled in a program called SCP CleanCharge signed up to have software adjust charging in response to signals from SCP. The goal was to avoid using power to charge EVs when electricity from the grid was dirty or expensive. In that program, the company also encouraged customers to power their EVs with locally produced renewable energy. Customers who used at-home chargers and combined it with clean energy from SCP were expected to spend about $15 to $20 a month for 100 percent renewable energy, according to SCP. The “Beyond Combustion” report, from the Center for Climate Protection, said that electrifying home heating and transportation with renewable-energy-based power is the quickest way to meet greenhouse gas reduction targets. 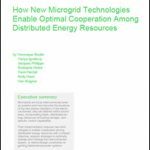 “As the grid gets cleaner, which it is doing at a steady pace, all electrical devices, including cars, get cleaner. By contrast, no matter how fuel-efficient a combustion vehicle is, it will continue to emit a consistent amount of greenhouse gases per mile traveled until it is replaced, usually 10 to 20 years in the future,” said the report. 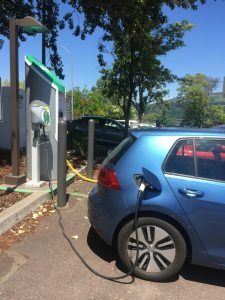 Sonoma County now has about 4,500 EVs on the road, and will need about 138,000 EVs by 2030 to meet the county’s climate goals, the report said. However, a number of challenges stand in the way of getting all these EVs on the road. “For example, the current federal administration and Congress threaten to undo incentives and regulations that advance clean energy and fuel-efficient vehicles,” said the report. The report reiterated suggestions from a 2015 white paper, calling for new state policies and funding to encourage EV use; expanding EV charging, especially at businesses, multi-unit housing complexes and along transportation corriders; creating an EV education campaign, and developing EV infrastructure. In addition to the previous suggestions, the report included some new recommendations, including confirming that new EV drivers aren’t simply replacing existing EVs; developing an EV charging station visibility campaign; developing financing mechanisms to help give low-income drivers access to EVs; and working to eliminate by 2030 sales of new internal combustion engines. Greenhouse gas emissions in the county’s transportation sector are expected to increase by about 39 percent between 2010 and 2040, said the report. This is due to population and employment growth. The report found that to meet greenhouse-gas reduction goals for 2030, sales of internal combustion cars need to end. EV sales are now increasing by about 30 percent annually in the county, the report said. Sonoma County drivers will save about $150 million annually in gas costs by 2030, and that drivers will funnel some of that savings into local and renewable energy. “This makes the transition to EVs a win for both the economy and the climate,” a report summary said. Track news about smart EV charging and demand response. 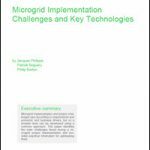 Follow us on Twitter @MicrogridNews. I am a retired veteran of the battery industry of 45 years. My expertise includes standby and online power systems, photovoltaic, and military power sources.